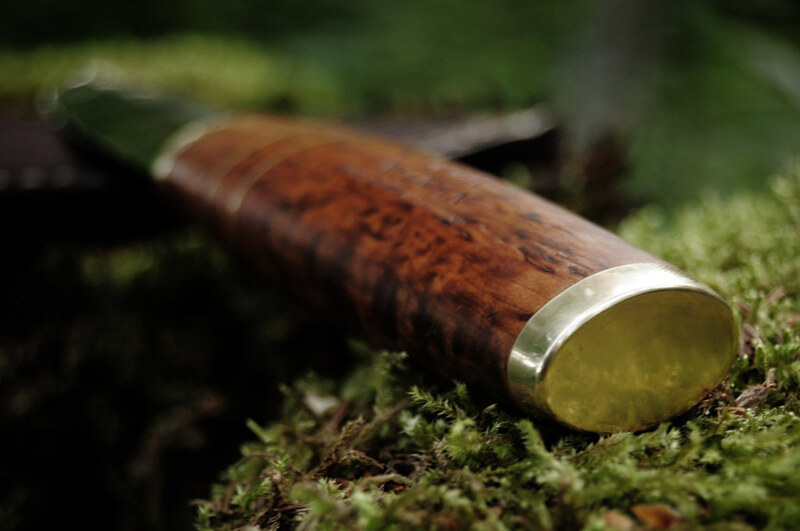 For over a thousand years, the woodsmen of Finland have used puukko knives to work their trade. 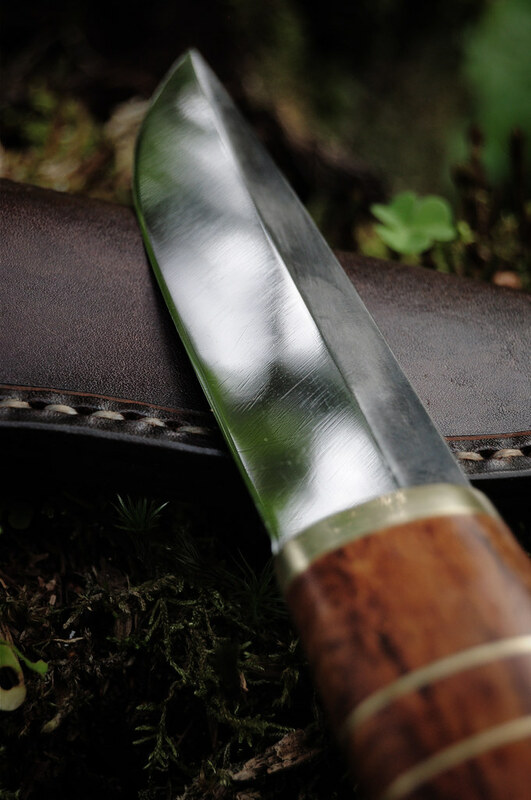 The knife is the result of generations of use and development by the Sami people. It has become a symbol of honor for those people and the lives they live. 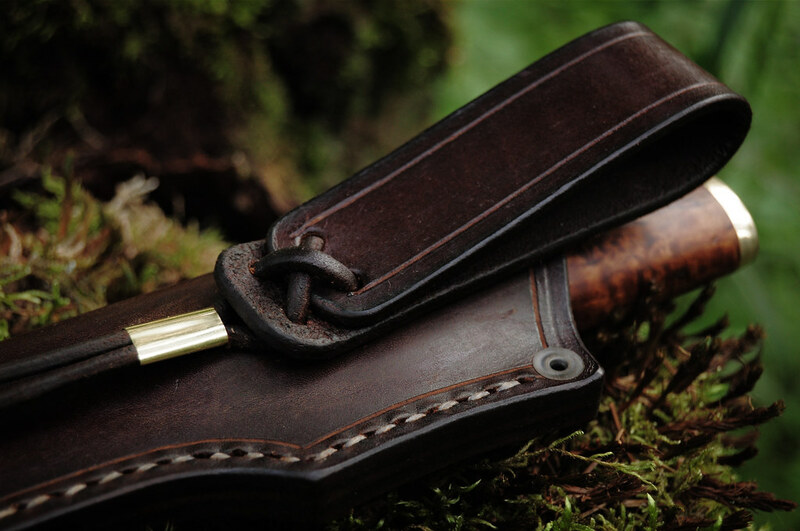 These knives are known around the world for their practical design and function. 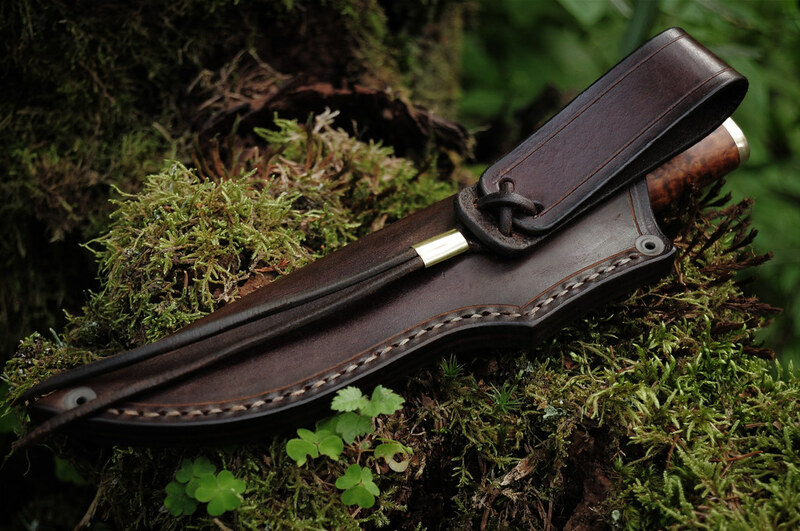 The puukko is used for all manner of tasks around the forest, farm and workshop. 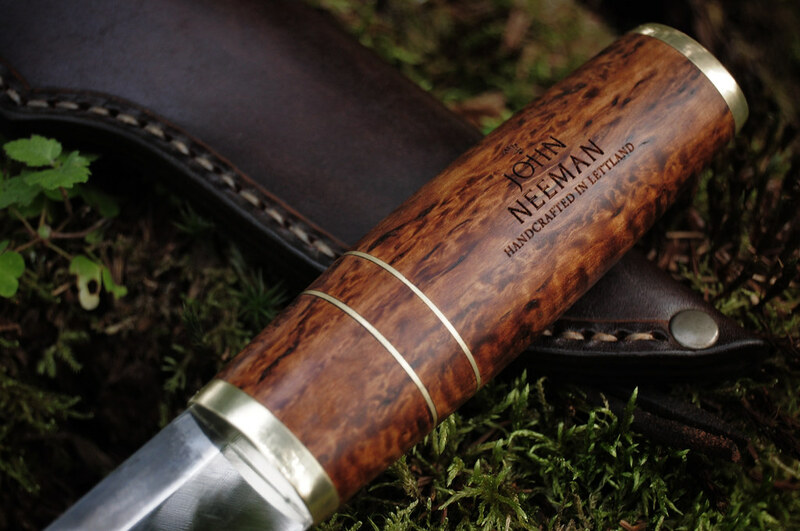 It is a versatile knife that can be adapted to many varying tasks to suite the owners’ needs. 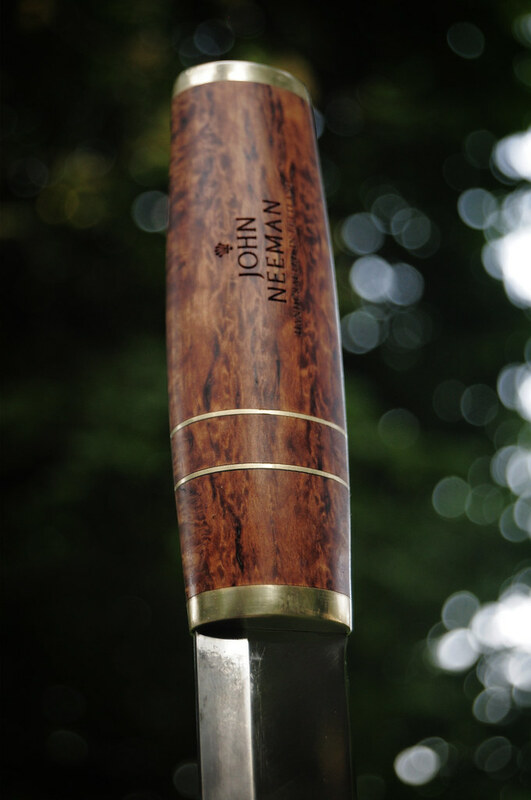 It excels in wood carving due to the flat grind and shape of the handle which allows full, but controlled power to be applied when carving. 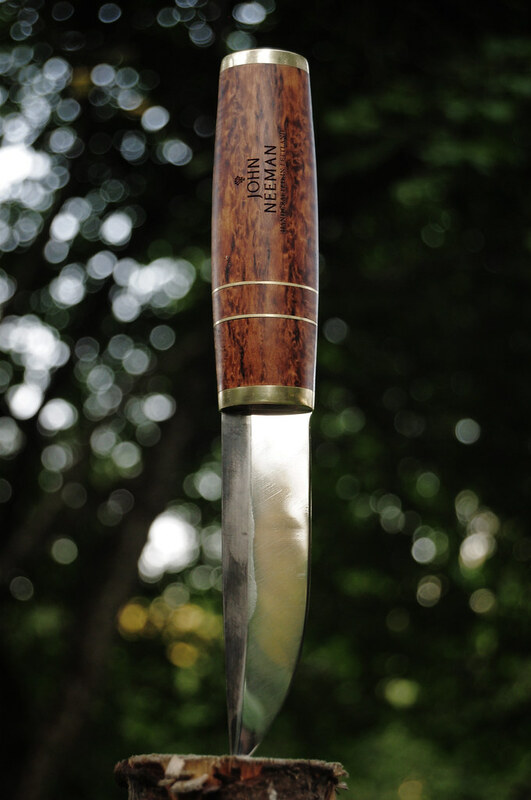 The blade for this knife is forged by laminating a Bohler K5 silver steel insert into a piece of mild steel. 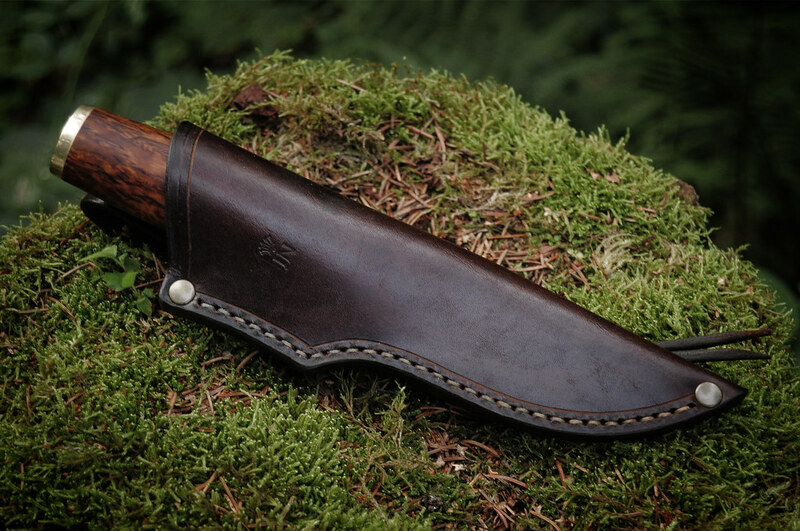 The edge is then hardened, ground and polished razor sharp. The high amount of chromium (0.50–0.80) gives it its shiny appearance. 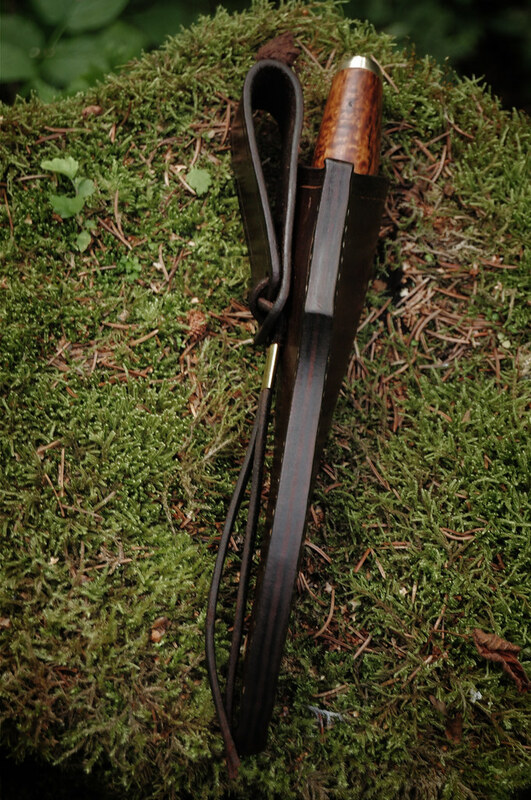 This steel can retain its edge for a long time. After the blade is forged it is grinded by hand to the smoother shape and then heat treated and annealed to Rockwell 61 (HRC) hardness. 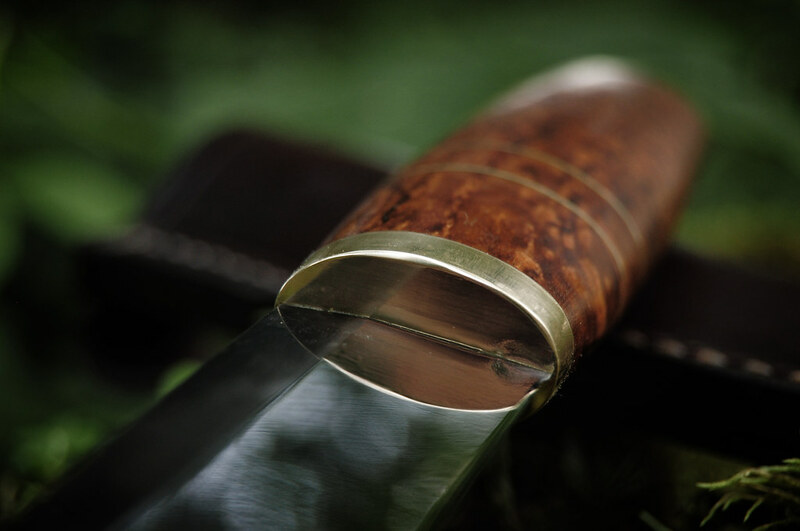 After hardening the blade is slightly polished and sharpened to razor sharpness. This knife has a flat grind. 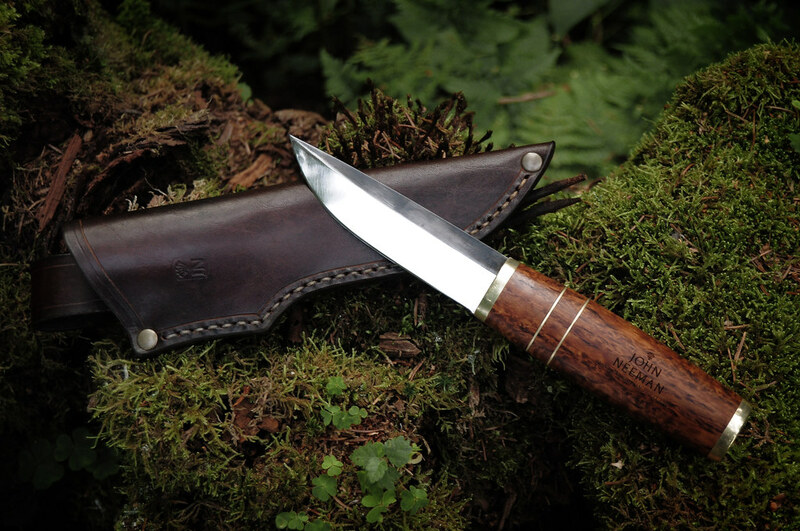 The handle for this knife is hand shaped out of a block of stabilized curly Birch, thermally treated wood that grows very slowly in the far North in Finland (Lapland). It is oiled with a pure tung nut oil and afterwards waxed with beeswax. 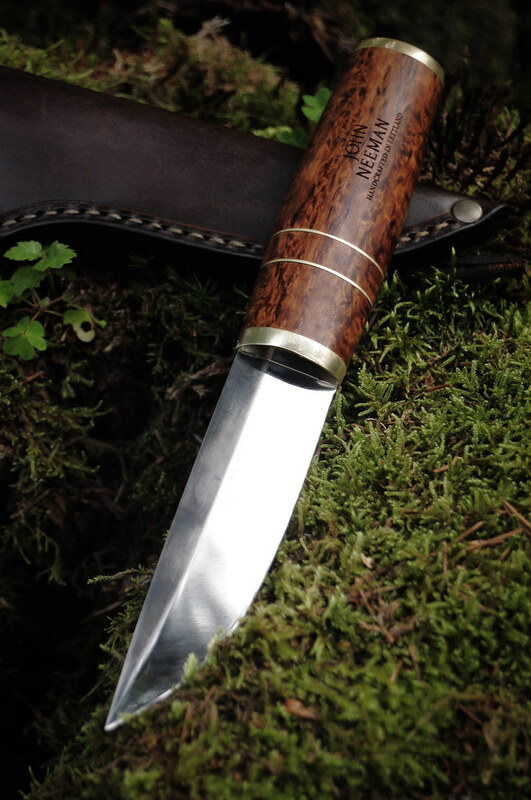 The sign on the knife handle is Jera Rune. Jera is associated with the harvest; with the rewards of efforts diligently applied and purposefully acted. As the farmer prepares the soil; plants the seed, and waters, fertilizes, and cares for the growing plant he is building latent Jera energy that will spring forth for him in the fall at the Harvest. This is the energy of Jera. Many forget that many of the northern European tribes were far more agriculture than war-like. The Vikings even had farmers who grew plants in plots for harvest for the general good. Farmers in many ancient cultures were held in high regard for they brought forth the bounty of the earth in a controlled and regular manner. In our modern age where we pop into a restaurant or head to the grocery store, we forget that the flour we buy had to be planted, tended, harvested.